LT Food Court is Responsive Business Joomla template. This template uses for Food Court Company or restaurant websites to showcase and update detailed information about variety of products. Besides, it allows customers to easily buy your products for delivery through online ordering systems. Compelling website can also attract visitors and increase your orders. 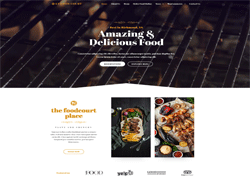 LT Food Court builds on powerful framework with fully bootstrap under 100% responsive layout (support for mobile devices), strong shortcodes, unlimited positions, drag-drop layout and 4 color styles. The template framework comes with Hikashop Joomla Extension which is useful extension for shopping cart.